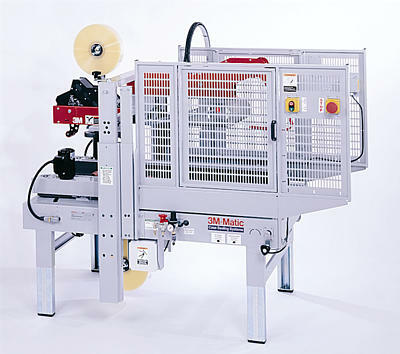 Automatically folds top minor and major flaps and tightly seals cases with 36 mm to 48 mm tape at up to 27 cases/min. Positive side drive for top flap folding. Roller deck for easy case movement. 3M AccuGlide II Taping Heads included.